Americans owe $1.2 trillion in student loan debt, a number that has tripled in the last decade from $364 billion. Student loans have passed credit cards and auto loans to become the second biggest source of personal debt in the U.S., trailing only mortgages. A Pew Research report shows the average household net worth for a young college graduate with student loan debt is only $8,700, while graduates without student loan debt have an average seven times higher with a typical net worth of $64,700. According to the report households headed by a college graduate under age 40 with student loan debt tended to owe an average of $137,000 including mortgage debt, vehicle and credit card debt. That number is almost twice the overall debt load of similar households with no student loan debt. “About 4-in-10 college-educated student debtors possess total debts exceeding the value of their assets, hence asset liquidation will not entirely meet their outstanding debts in the event of job losses and other unforeseen economic shocks,” the report states. Massachusetts Sen. Elizabeth Warren introduced a bill that for the first time would let Americans refinance student loans at lower interest rates. The legislation would let current and former borrowers who took out a loan before 2013 to refinance their debt to get an interest rate of 3.86 percent; the same rate now offered to new borrowers. “It’s just a problem that keeps getting bigger and bigger and bigger,” said Warren. “With interest rates low, homeowners have been refinancing their mortgages. But the federal government does not let people who holding student loans refinance down to the lower interest rates available. This bill would say yes, they can refinance,” Warren said. 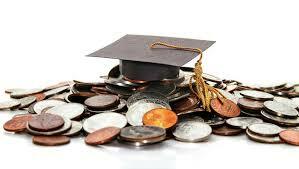 Thirty percent of federal student loans are in default, forbearance or deferment.